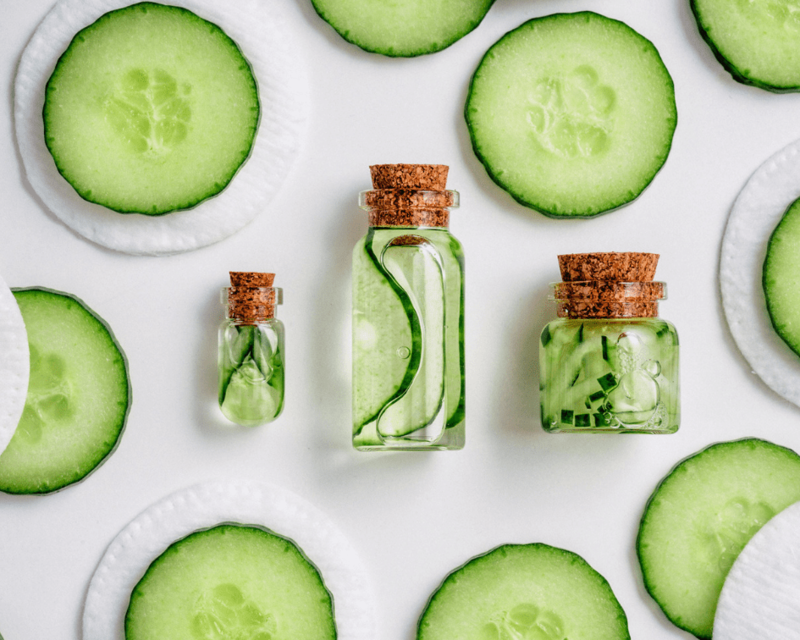 You and your skin may often require a ‘pick me up’ facial, and we have the perfect step by step guide for you with our best Australian skin care products. Don’t wait until you feel run down and exhausted, treat yourself to this facial every week. You deserve it. We hope you love this facial as much as we do. Regularly embracing a mini-facial at home with your friends, by yourself or as quality time with your mother or daughter can be absolute soul medicine. Start by applying a warm muslin cloth or face washer onto your face, lie down with the washer on for a few minutes to open your pores. Maybe flick some chilled tunes on, light a candle and joss stick, and start relaxing by practising some deep breathing. Now your pores are open, remove the washer and apply this cleanser to remove any makeup, nourish and gently cleanse your skin of impurities, pollution and water-based makeup. It is a pH balanced cleanser with anti-inflammatory, soothing actives to calm irritated skin. 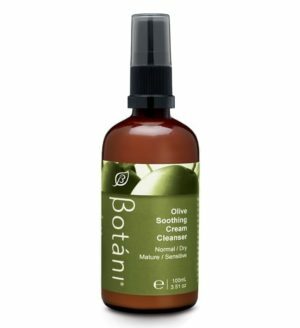 It contains moisturising olive actives to leave your skin feeling soft, nourished and clean without disrupting your skin’s natural protective layer. Alternate suggestion: Purifying Facial Cleanser. Gently draw impurities from your skin and deeply cleanse your pores without stripping your skin. Spray your face with two or three sprays of this non-alcohol based toner and hydrating mist to calm, refresh and revitalise your skin. Practise a few more rounds of your deep breathing to soak every cell of your body with the calming aroma and relaxing vibes of this delicious mist. Massage your skin by placing some Radiant Rose Mask in your palms. Rub your palms together and begin dabbing onto your face, starting with your chin area and make your way up your face. When you have evenly spread the mask all over your face, start massaging. Using both your hands, gently massage your face in an upwards direction, beginning from your throat. Caring for your decolletage is as important as your face. Radiant Rose Mask luxuriously hydrates, locks moisture in and strengthens your skin’s barrier. It is an excellent solution for those with dry, dehydrated, combination and mature skin. 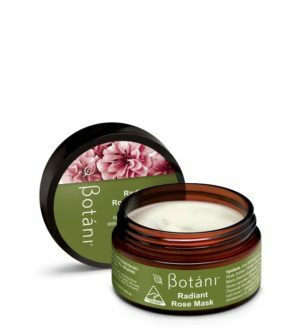 Radiant Rose Mask’s key ingredients are Crambe Abyssinica Seed Oil and Rose Geranium Oil. Crambe Abyssinica Seed Oil is native to the Mediterranean, one of nature’s best-kept secrets and a natural alternative to mineral oils and silicones. 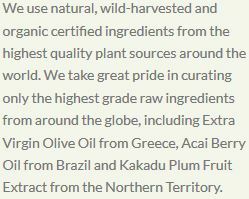 This exquisite active oil is rich in erucic acid, omega-3, 6 and 9 fatty acids. Rose Geranium Oil is skin balancing and anti-inflammatory. Assists with acne and calms sensitive skin. This sweet-smelling oil offers you a calming, balancing and mood-boosting natural scent. We often leave our mask on overnight, especially when travelling overseas, but for this facial, we remove after about ten to fifteen minutes. Apply two drops of this serum into the palms of your hands, rub together and dap all over your face to seal in the goodness and prime your skin with vitamin A, C, E and F to protect against free radicals, pollution and UV rays. 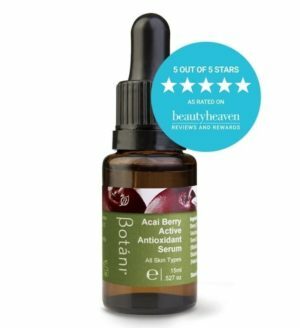 Acai Berry Serum helps speed up your skin’s natural repair systems by promoting cellular regeneration, reinforcing your skin’s natural protective barrier and plumpness, leading to brighter and more even-toned skin. Alternate suggestion: Olive Skin Serum. 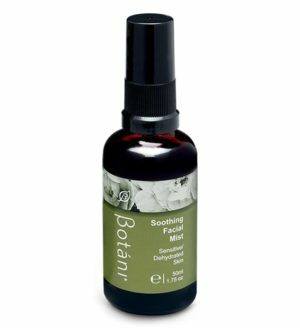 Apply a drop to the tip of your fingers, rub together and very gently dab around your delicate eye area to soothe, reduce puffiness, revitalise, tighten and firm. Apply this ultra-hydrating moisturiser to repair tired, ageing, dry, irritated or flaky skin. 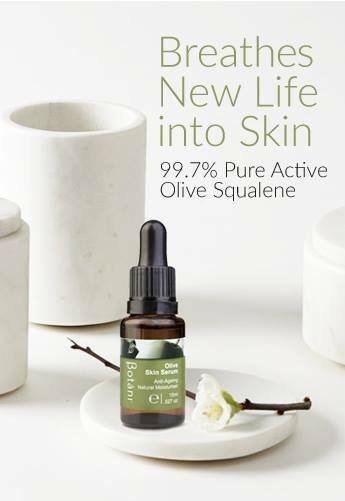 Olive squalene gives you anti-ageing and antioxidant properties to help soothe away any visible signs of ageing, dehydration or fine lines. Alternate suggestion: Boost Balancing Moisturiser or Olivene Repair Balm. Always remember your lips by nourishing them with our delicately scented vanilla lip balm enriched with Evening Primrose, Jojoba and Olive Butter. Apart from indulging all your senses in luxurious quality time and taking your skin care routine to the next level, there are some fantastic benefits of this facial such as relaxing, stress relieving, detoxifying your skin, improves blood circulation, anti-ageing and mood-boosting. Depending on your skin type, condition, goal and budget you might like to have a facial every week or once every two weeks. If you have combination, dry, or normal skin, once every month is fine.